Printing, Marking, Barcoding, Labeling, and Print & Apply Labeling Systems For Your Packaging Needs. Call for application assistance: 800-237-6713. We can help you choose the perfect printing, coding, marking or labeling solutions. Over 50 Years of in-house control for the packaging industry's labeling, printing and coding needs. 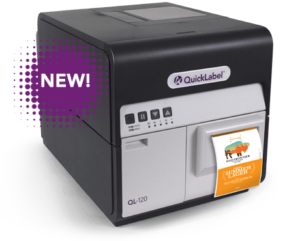 The QL-120 features enhanced print speed, seamless integration into desktop or enterprise platforms and high-quality color labels that rival flexographic labels. Simple to install and easy-to-use, the QL-120 delivers premium 1200 x 1200 dpi color labels in an as-needed basis and cost-effective manner. Offering flexible print widths that are unmatched in the industry, the QL-120 enables users to print labels as narrow as 0.5” or as wide as 4.2” on the same device. We can help you configure the optimal solution for your specific packaging or production line printing, coding or labeling needs. Labeling Applicators - From low speed DC driven models to Servo driven units capable of high speeds. 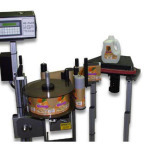 Custom Designed Labelers for All Applications. Reduce preprinted inventory by printing what you want – when you want it with these stand-alone, fully automatic systems. 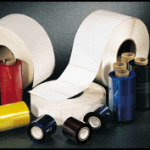 Ink Jet Printers, UV Flexo printers, and thermal transfer printers.